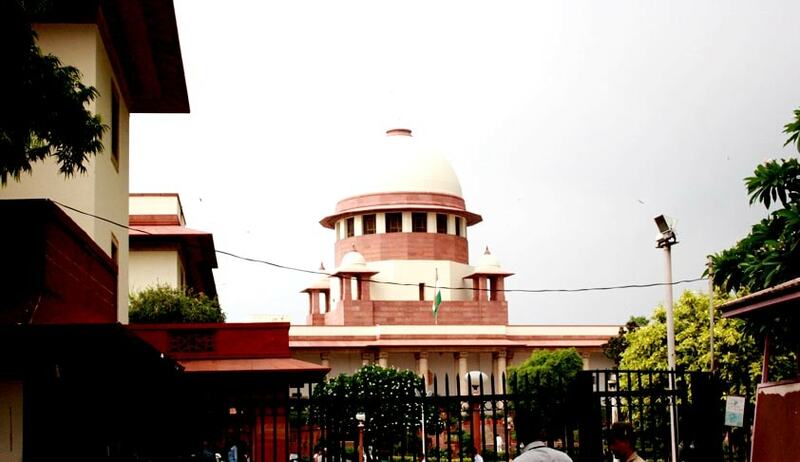 The Supreme Court of India has issued a circular announcing the opening of the facility if a Crèche (Child Care Centre at the Supreme Court), for children in the age group of 6 months to two years, of the Members of SCBA practicing at the Supreme Court and officers and employees of the Registry. It will be functional from November 4, 2015 from 8:30 am to 6:30 pm from Mondays to Fridays and from 8:30 am to 2:00 pm on all working Saturdays. The Crèche is to be set up in Chamber No. 8 and 9, New Lawyers’ Chambers Building at Bhagwan Dass Road, under the guidance of RAK Child Study Centre, Lady Irwin College, New Delhi. The registration fee prescribed for the facility is Rs. 200 per child, along with a Registration fee of Rs. 6, 000, Security Deposit of Rs. 5, 000 which is refundable and a Care fee per month of Rs. 5, 000. Interested members and employees have been urged to apply by October 31, 2015. Through a Circular dated June 16, 2015, the Apex Court had announced the opening of the Crèche. It had constituted an Advisory Committee for smooth functioning, effective management and monitoring the programme of the Crèche. This committee includes experts from the field of early childhood development. The June Circular had clarified that the Crèche would register and admit a maximum of 10 children (5 each of Members of SCBA and SC staff) in the beginning. In case the required number of children in the prescribed age group are not available, children of higher age group up to 3 years may be considered for the Crèche facility, it said. It further stated that in case the required number of 5 children of Members of SCBA are not available, children of the SC staff may be considered and vice versa, to make up the strength of 10 children. The Court had also laid down guidelines for the Child Care Centre. The opening of the Crèche was however postponed, pending disposal of a Writ Petition filed by one woman lawyer, Anindita Pujari. She had sought direction to set up an effective crèche that would actually serve the purpose and would prevent exclusion of women from fully exercising their Fundamental Right to practice the profession of law. The Petition, settled by Senior Advocate Indira Jaising, stated the notice did not prescribe any specialized knowledge or experience for managing the crèche and this “ad hoc” approach shall not further boost the purpose of having such a facility. You may read the LiveLaw story here. Last week, a Bench comprising Justice Ranjan Gogoi and Justice N.V. Ramana had sought view of its Registry and the Supreme Court Bar Association on the Petition. The Notice has, for the time being, only been limited to the plea for extending the age limit of kids who can be admitted to the day care to six from existing two years and to the demand for extending the facilities for free. You may read the LiveLaw story here.